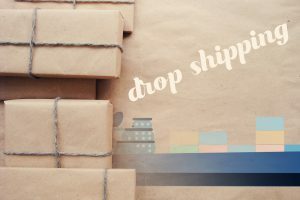 Drop shipping is a great way to sell goods without having to carry an inventory. Your designated product manufacturers produces, packages, and sends the product out to your customers because you have provided them with a low-cost platform. It is great for entrepreneurs, as it is a low risk, low cost, and a decidedly automated business model. You are not required to buy inventory in bulk for low costs because the costs are already pretty low. You can easily sell the products at a market value with healthy profit margins. With drop shipping, you are ready to start with the business as soon as you sign up. Products are imported pretty easily from different vendors with a simple click. As the process is highly automated, the processing time is also significantly reduced and the product can be delivered to the customer in a considerably less amount of time. Because the business operations are pretty easy to handle, you can shift your focus on developing the other aspects of the business. Some of the tips below will guide you in this regard. As most of the aspects of this business are automated, you will have plenty of time to focus on the other aspects of the business such as marketing. While basic marketing strategies suggest using logos, aesthetic websites and graphics for the business model, you must attempt to gain deeper insights into things like SEO and customized videos to grow your traffic and customer base. SEO and ads will drive most of the traffic to your website and about 1–2% of those visitors are actually involved in a sale. Therefore, if your drop shipping business has less than 100 visitors, you will most likely not be making any sales. It is also great for your business in the future, as a higher SEO ranking means your website will appear among the top searches, which is pretty significant in these times. Similarly, blog posts can also boost traffic and must be used alongside your other marketing strategies. Videos have the highest conversion rate to sales among all marketing elements. They involve multiple senses of the onlooker at the same time, which generates strong emotional associations. Creating an association with the customer is key for any business and for online businesses it is even more important because it’s the closest real-time experience you can offer to the customers before they physically feel their product. Running a successful drop shipping business requires you to make a compelling offer to your customers. Sales and bundle offers are the most popular among consumers as it gives them better value for their money. Not having any of your products on sale may be bad for business, however, if your products are of greater quality, inspired by a compelling marketing campaign, you may not need to offer sales. A bundle offer must consist of similar products as it is generally more persuasive. For example, if you are offering any hair products, try to include a variety into the bundle for the same category. The advantage you have with running a drop shipping business is that you can keep the production costs low. You are acquiring the products at a wholesale price so the costs are already low. Now, you have the advantage of pricing your products at market value or lower depending on your planned profit margin. Many businesses make the mistake of keeping product prices too low because they think customers will not buy if they don’t. Although the costs of acquiring the products are low, you still need to cater for all of the indirect costs related to marketing, payrolls, and other business expenses. Also, consumers generally perceive low-cost products to be of lower quality. They don’t buy it just because the price is too low to be true. Don’t make that mistake. Price your products appropriately around their market value so that you can reap all drop shipping benefits. How To Efficiently Track Employee Time How does Inventory Management affect Income Tax Paid?